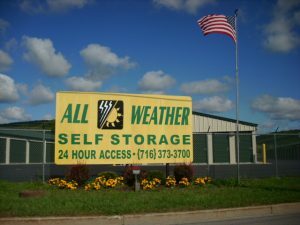 At All Weather Self Storage, you can call or text 24 hours a day, 7 days a week. Western New York's and North Western PA newest, most modern, and largest self-storage facility. 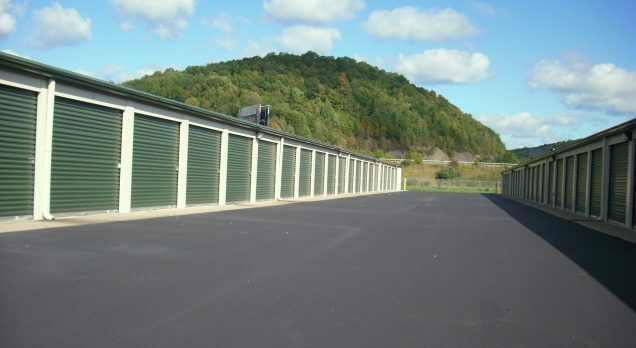 We offer several convenient sizes of storage units to choose from. For your convenience, we offer 24-hour access with security lighting and a fully fenced in facility. Our spacious and fully paved lot is accessible 24 hours a day and allows for easy loading and unloading with full drive up access to every unit. Our fully lit lot now features new LED lighting! We offer affordable pricing on all our units and all customers who pay one year in advance will receive one month at no charge. Commercial, industrial and residential tenants are always welcome. Our units are accessible off Interstate 86, exit 25 in Olean, New York. We are located at 302 Franklin Street in Olean, NY. Call or text 24/7 716-373-3700. Ron is the nicest person to do business with. He is fair and helpful and the facility is very decent. Thanks again Ron! I've used Rons storage units for a few years! It's always extremely clean and very fair prices! !